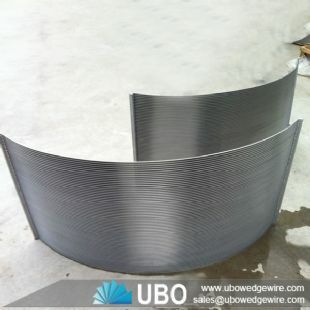 Wedge wire parabolic curved screen panel of support rod and wedge wire. 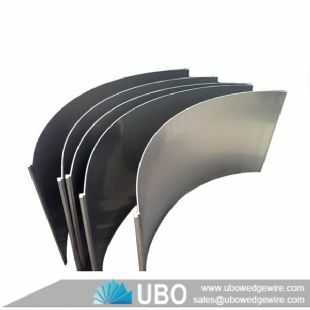 The wedge wire and support rod is welded for strength and durability. 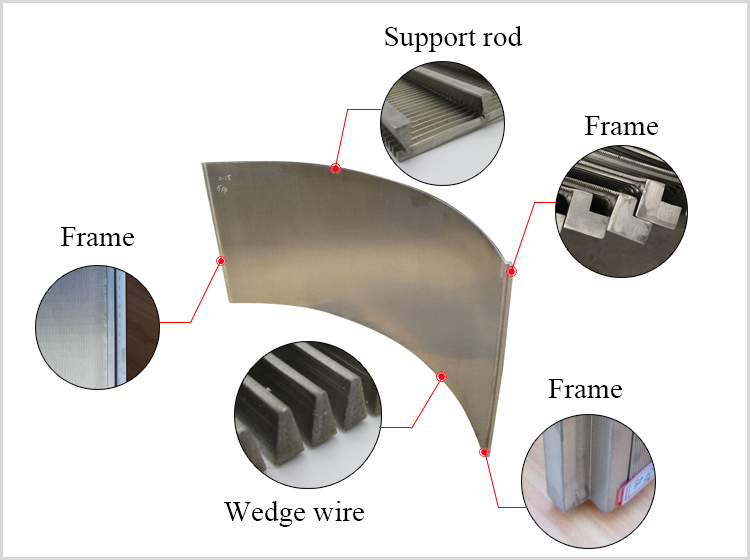 The shape of the rod is round, triangular or trapezoid. 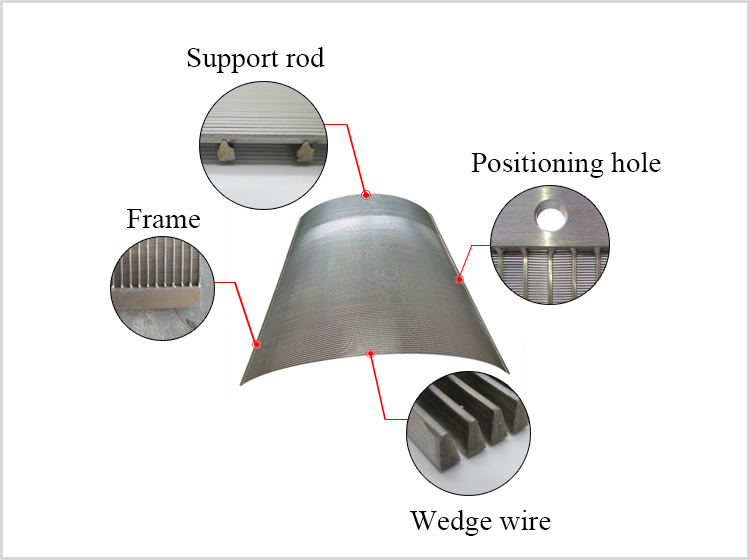 The wire is triangular(V- shaped) wire. 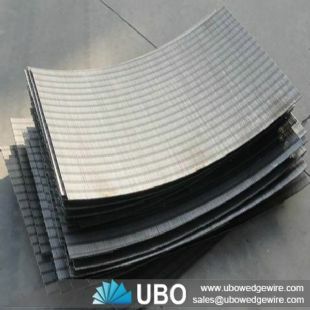 With the structure of high open area, our wedge wire screen has accurate slot dimension. 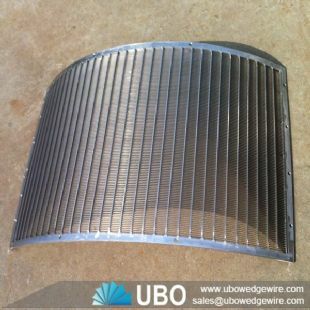 UBO Parabolic screen filter heat resistant, anti-corrosive, safe and reliable. 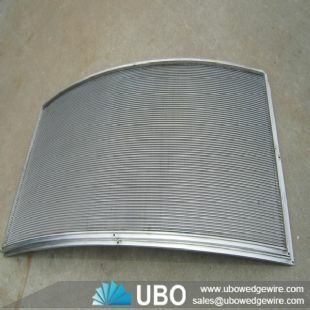 It can be used for filtering different kinds of medium. 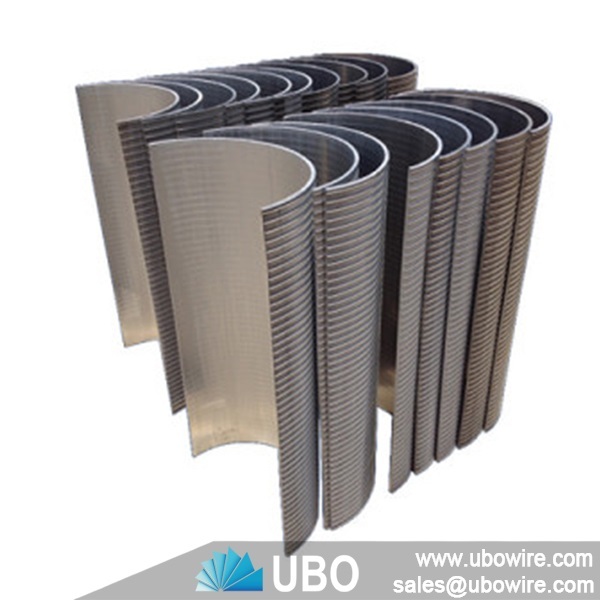 We can produce curved sieve screen as per customer’s requirements. 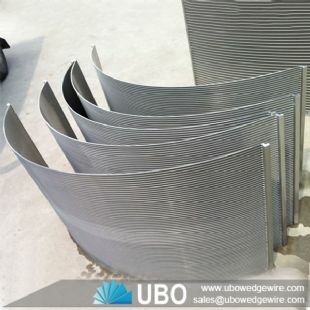 The wedge wire parabolic screen is a kind of filtered water tubing, which can be used with the deep well pump, submerged pump. 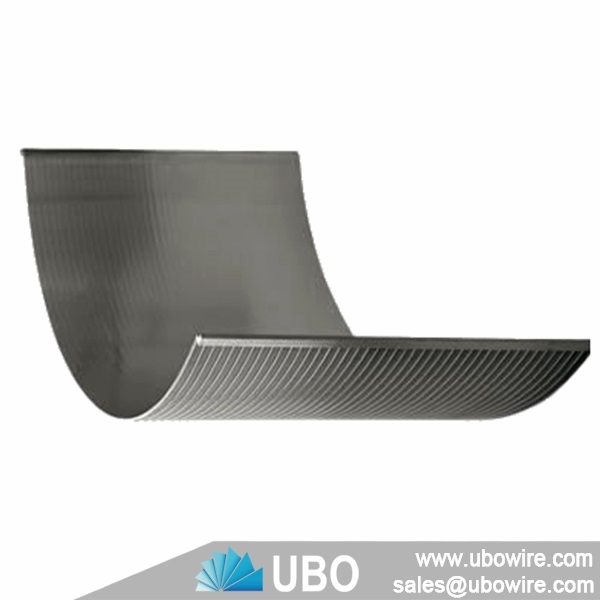 It also can be used as the water treatment equipment for water desalination, running water treatment and softening. 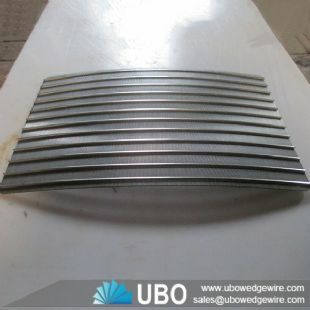 This sieve bend screen is applied to filtering the acid and alkali liquid, ethyl alcohol and other organic solution in petrochemical industry.